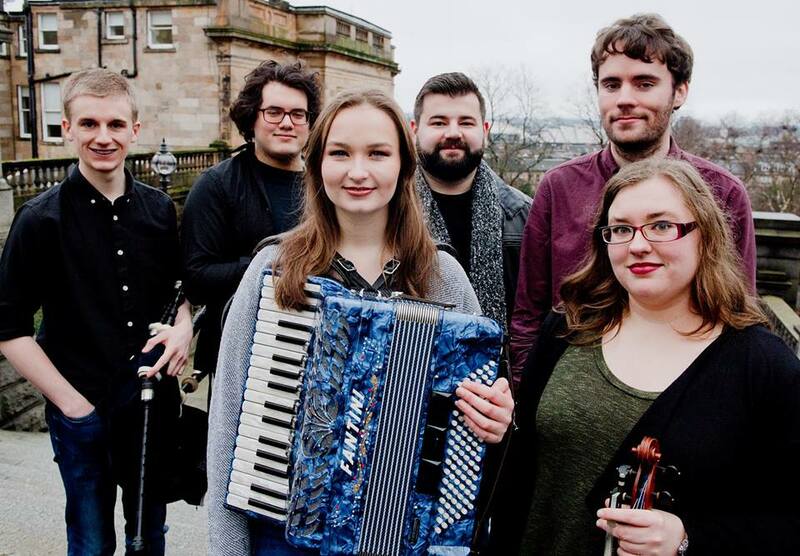 Eriska is a six-piece Glasgow-based folk band established in 2016. The band's lineup includes members from the traditional music, jazz, and classical courses at the Royal Conservatoire of Scotland. The members draw upon their disparate backgrounds and combine rock, jazz and folk styles to create a unique sound using both traditional tunes and band members' original compositions. With musicians from Argentina, Italy and the USA as well as Scotland, they blend many musical traditions together to make a fresh kind of Scottish music. Having played at festivals including Celtic Connections, Boston Celtic Music Festival, the National Fete de la Musique and Piping Live, the individual members bring together plenty of performing experience and energy.